4 Beds 2 Baths 2,420 Sq. ft.
Up to $22,500 may be available towards this home for first time homebuyers. 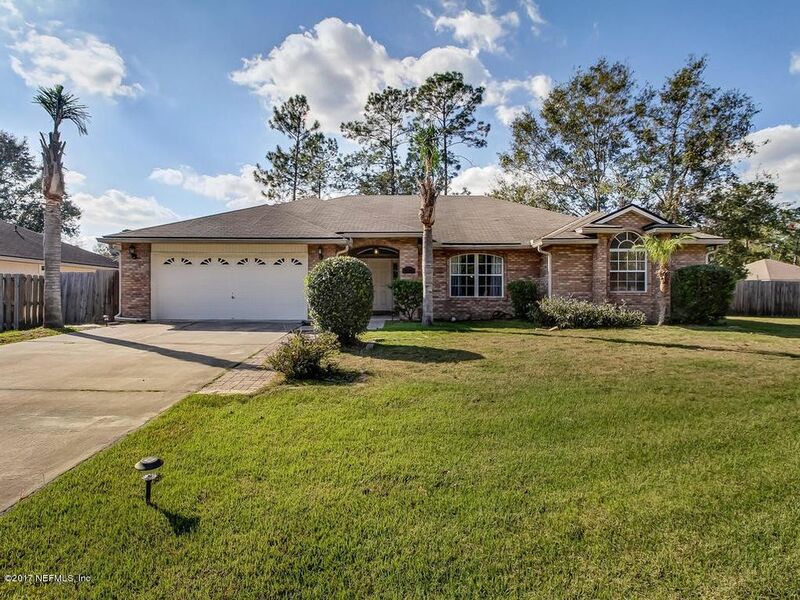 This large and well maintained home features 4 spacious bedrooms and 2 full baths. Upon entry into this home you are greeted by the formal living room which flows into the formal dining room. The chefs kitchen has been updated with 42'' cabinets, quartz countertops and includes all kitchen appliances. The kitchen overlooks the large bright family room. This home also has a split bedroom arrangement, starting with the luxurious oversized master suite with the attached sitting area and bay window. In the master bathroom, you will find 2 large walk in closets, oversized tile shower, large garden tub, water closet and dual vanities. On the other side of the home are the 3 spacious bedrooms with walk in closets. Directions: From I-295, West On I-10 For About 2.5 Miles, Left On Old Middleburg South, Right On Whisper Glen Drive And Then Right On Whisper Glen Drive East.